For the president of the Republic of China, commonly known as Taiwan, see President of the Republic of China. For the de facto leader of China, see Paramount leader. "President of the PRC" redirects here. For the leader of Guernsey, see President of the Policy and Resources Committee. 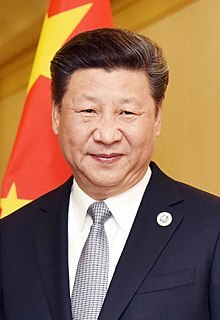 For a more comprehensive list, see List of Presidents of the People's Republic of China.